Chanelle B. Albertson, 17, of Montpelier, passed away on Tuesday, July 26, 2016 as a result of an auto accident north of Bryan, Ohio. 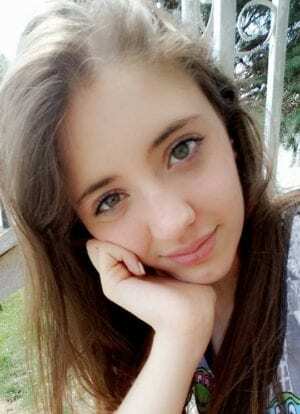 She was born on July 6, 1999 in Auburn, Indiana to Charles E. and Janel L. (Huffman) Albertson. Chanelle would have been a sophomore at Montpelier High School, where she was a member of the cross country, track and basketball teams. She enjoyed Spanish Club and music and had a deep passion for animals. Chanelle was a member of the Free Bible Tabernacle Church in Butler, Indiana. She is survived by her parents, Charles and Janel Albertson of Montpelier; two sisters, Erica M. Hart of Auburn, Indiana and Hannah N. Huber of Stryker, Ohio; paternal grandfather, Charles Albertson of Butler, Indiana; maternal grandparents, Daniel and Bonnie Huffman of Auburn, Indiana and Julie Huffman of Kendallville, Indiana; and her paternal great grandmother, Joyce Albertson of Edgerton, Ohio. Visitation for Chanelle will be held on Friday, July 29, 2016 from 2-8 p.m. in the New Gymnasium at Montpelier High School, 1015 E. Brown Road. Funeral services will take place on Saturday, July 30, 2016 at 11:00 a.m. in the New Gymnasium at Montpelier High School with Pastor Joey Albertson and Pastor Mike Kelly to officiate. Interment will follow at Riverside Cemetery in Montpelier. Memorials can be made in Chanelle’s memory to the Williams County Humane Society. Online condolences may be left at www.thethompsonfuneralhome.com. 2 Comments on "Chanelle B. Albertson"
Several years ago I had the distinct privilege of having Chanelle as one of my students. Remembering back to that year I was blessed to be able to be a small part of her life. Chanelle was always a soft spoken child who had those eyes which could draw you in immediately. She often spoke of her family and how much she loved them, especially her daddy, grandma Joyce and aunt Sarah. I knew each of her family members impacted her life lovingly. She always enjoyed the family gatherings and would share her stories with me. It brought a smile to my heart. I’m so thankful Chanelle chose to ask Jesus to be the Savior of her life. I take comfort knowing she is spending eternity in heaven because of her decision. Thank you grandma Joyce for your sacrificial love for your precious grandchildren.